Floss Like A Boss Winner! Congratulations to our Floss Like A Boss Winner, Piper DuVall! We are so excited to announce the winner of our 30-day social media challenge – Floss Like A Boss. Congratulations, Piper DuVall! Piper posted every day for 30 days, showing us all how to floss. 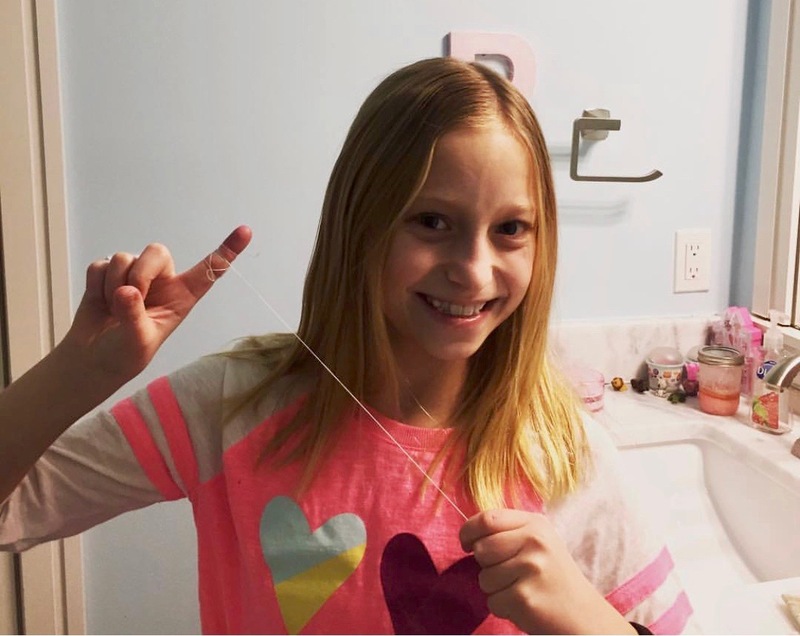 We loved reading her posts and seeing all those great flossing pics. We thank you – and so do your healthier teeth, Piper. Piper wins an iPad mini, and she and all the other great kids who showed us how to Floss Like a Boss are getting a cool T-shirt, too. And, as a bonus to thank these guys for all their great flossing – Carter & Higgins Orthodontics is giving them 500 bonus points in the Carter & Higgins Orthodontics Rewards Program. This program lets kiddos rack up points for all kinds of good dental health decisions – no cavities, no broken brackets and other good oral hygiene habits. Kids can take their earned points and cash them in for cool prizes. Our Floss Like a Boss participants now have a 500-point boost! Flossing removes plaque and helps prevent the buildup of plaque, which can lead to tartar. Flossing helps prevent tooth decay and reduces the risk for developing gum disease. Flossing lowers your risk of heart disease, mouth infections and the levels of inflammatory substances in the blood, which can also lower chances for blood clots or slow blood flow. And, if all those ideas aren’t enough, flossing also helps your teeth appear whiter and brighter by removing food and other small things you can’t see while you brush. If you didn’t get to participate in this recent Floss Like A Boss campaign, or if you didn’t win like Piper, don’t worry! We’ll have another Floss Like a Boss campaign in the fall. Until then, keep flossing! And keep telling us about it! Your teeth will thank you.